we have included them because they were narrated by old men. There are many tribes in our country to-day. to form the Acewva, Ansenga, Alala, Ambo, Akunda and many others. We have a story that shows us how some of the tribes split. because they came from one place Kawale Makumba. Nsenga). The other two failed to give him what he demanded. the others did not get him. tribe regards children of paternal side also as sisters or brothers. the clan names began as names eneCulu, eneLungu and eneMumba. Yo! Calo = Your country. visited his friend he got that he was already dead and buried. The people asked him why he delayed as to get his relative dead ? because he preferred to make a drum rather than seeing his relative. clan came the corpse on the buttocks and say, "So you also die"
Eneculu are cousins with eneNzovu and eneNgulube. regard him as a brother. very much loved by the eneNyendwa because of so Cendo was begun. Mwase of Kasungu in Nyasaland and those under Undi of Fort Jameson. called Mcemeni. Nyangu and Cisamba went to stay in Ncheu country. Cisamba had a son but Ngangu was sterile. 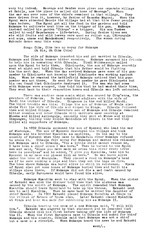 Kalonga died. Being a child he was not able to succeed his uncle. This enabled Undi the son of Cisamba to rule as Kalonga Undi. under one name Kalonga Undi. who liked Undi were to sit down, those of Kalonga were to stand. above is not his brother but a different man. dropped the idea because of the Bemba wars. Mcemeni. When she died she was not succeeded by a royal family man. hammock made from the skins of a Zebra. afterwards and received tributes from them. was brought before him he would often say, "What is your clan name?". to Ciwande and was named Mwase of Kuminga. day his successors are like the Angoni of Mombela. gave it to another Mwase who later was known as Mwase of Kuminga. come to him because of wars. for a year in this village. great love for Mywanya tried to kill Mwase, but the charm failed. it." Ntemba being a woman gave in to Kambwili. Cintungulu and then Mcaca and Kanyindule. the sister of Undi was Ndalama, who got married to Mundikula. These two Chiefs were brothers-in-law. called Mbala because it was very thick and had very tall grass. Kang'ombe. He built his second village near Mboza at Kafyula. as drinking cups for beer. inherited by another bull when the old one died. where the Batwa used to make their flour. Batwa sang, "So we are tall, so we are tall." left besides the Luangwa were Luembe and Mboloma. Firstly: Who has killed the crow bird because of asking? Yeleya! who has killed it? Secondly: The whirlwind that started soon killed people! The whirlwind that started soon killed people. Mpundi found him on the throne when he reached that country. Zambezi river, got men there whom they forced to canoe them across. men left in South Africa. came with no cattle from South Africa because they were refugees. women under the trees and the men climbed up with bows and arrows. go near, though they had shields. Lomagazi gave birth to Mombera Mshasho. Lomagazi was a Ngoni woman. them to the dogs?" Mombera replied, "I will give it after eating." Mpezeni added again, "Will you give all the bones to your dog alone?" His brother's answer was, "Yes, it will eat all." Therefore the two men ate all the meat and finished. for their home with anger. Mombera narrated the story to his mother. Mpezeni and Mombera claimed for the throne of their father. Mombera continued to advance northwards. war, returned to their country and built a big fortress at Mbala. Mpezeni fought again with Mkanda the chief of the Cewa. Kalindawalo Chabala waged a war with the AchiKunda. a Chief allowed them to hunt elephants often they were given a guide. the tusks to their country. bring these mortal weapons here, they will explode our bodies." clever people, the Chikunda always entered their villages as friends. again gave presents to the Achikunda men in order that they may kill '. the Nsenga easily because the whole country was corrupted. was fighting with the Achikunda, the Ngoni came to capture slaves. country was neglected, the Nsenga had moved to the Ngoni country. the village of Lukunka on the Lusobe river. fellow dead the Achikunda fled and the war ended. kill Chumbi: His skin was separated from his body like that of animals. that the foe of the chief was killed indeed. village was built on river Mayila. and brought her to the chief. She was killed and skinned there. Her skin was made into a bag of war charms. as far as the Luangwa river. Kalindawalo. In that way the Kunda and Nsenga began to intermarry. country, because ancient people inter-married freely and extensively. whether you will not die of hunger." the life of his father. for Cibekwe during their long journey from Uluba. Cikulang'ombe situated on the other side of the Luangwa. other bank of Luangwa because she did not want to wander with him. out again. Sops, Lubambe, Mselwe and Cilazapo fled to Kantuma. the great floods of 1925. Kambani the nduna of Tindi was killed by that flood. where they slept. The flood did drop after two days. Malaza was succeeded by Ukwimi the II. Chief was later called Malaza which means rattles. 28. THE JOURNEY OF MAMBWE. suggested to leave the country of his father with his followers. shouted and danced whenever Mambwe saw the moon. fact Mambwe left Malama at Cikunto and went away. Cenje Pool. Mambwe found his elder brother Cula catching fish. and his men were called eneCulumsomba. came on his journey at a place called Nyungwe. Anyilenda, Anyasulu, Alongwe, Anyilonga, Azimba and Amando. to this day and was named Mambwe Mcaca, his village was Katomfya. moved from Citempa and went to stay at Ulanda. until Malama Kavimba was elected to rule Citempa village. and went to build a village at Mwangazi known as Mazola. see the places where Mambwe had built shrine huts. woman and they payed visits to her and made love to her openly. That in the end was the cause of the Bisa war. of Mambwe Nsakilwa is known to this day because of Kavuzya Malambo. their family, Mambwe the third born and Mcaca the fourth born. now they would stay in peace because the Ngoni were defeated. names is Malama of Cikunto. Kalyanika (one who stays in the sun to get dry). deed that he called himself Kavimba (to grow or to swell up). wore were like those of the Ngoni..
caught the man who wronged his father and killed him at Lubaneni. killed. Men to this day say Cib-ula was a bad man. were chased away. They fled to the country of Kambwili at Cibande. was the end of the eneCulu rule at Citempa, leaving the eneMbawo. I killed even Cimbungwe, my rrand-parent! I kill even those who eat powerful charms! 36. THE FLIGHT OF THE KUNDA. This song is for visanga, a dance for women. Mambwe the I from Uluba placed his brother Mcaca at Kasinga. country called himself Kacinga (the impeder). the sister of Mcaca was to be called Kota Kota and Mkadi respectively. previously (Micosi was the real name of Mambwa's sister). adultery with Mcaca. He built his village at Kalongo. Jumbe was the senior chief and that's how he lost his power. chief is Mateyo (Mathew) of 1947.
he lives in the country of Jumbe. we shall read about him later. The wife of Mnkanya deserted him and got married to Cibaula. with Mnkanya were annoyed, they told him that he had wasted their time. They went back to their respective homes and Cibaula was left untouched. Fundi the brother of Cibaula. Cinganze in the end killed Fundi. killed all supporters of Mnkanya. as if he were smoking a pipe and then they set the logs on fire. Cibaula, early Europeans would have found him alive. at Minga and beer was made for enthroning him as Mnkanya II. Kabindula Ciba, Mnkanya Mpandika (died 1940) and Mnkanya Phillimon Giba. Tabe died Tindi the son of Kabense succeeded him. Tabe was piven to a man who was ruling at Kasinga. Giziye has been buried eh! eh! to wear before entering the village. the Bisa doctor on his way home. Kabalika accepted it and killed him. came home as he had begun. neck-nurser, came to Tindi to find out the extension of his country. 1932). Malukutu was followed by Msenya who was living by 1947.
their clan name was Tembo. her own child called Cimbuzi. relatives and renamed them after his own dead relatives. 42. THE JOURNEY OF SANDWE KANYOZO. began to inter-marry. Mambwe married Ngabo the sister of Kasabi. built their first shelters at Kabaye. young brother was named Makoba 'one who stays with a friend permanently'. died. Kapala of Cibaula family succeeded him but he was soon dethroned. A man of Nyanyokwe family then succeeded him. used to run into his fortress for protection during war times. brother-in-law buried him in the stream of Kang'ombe. that she was leaving for Lebeba. big ones are mine, when killed they should be brought to me." wife of Sandwe committed adultery. The villain man fled to Mbala. ran away from this country with your mother." 47. THE REIGN OF KAKUMBI. because his fore-father Mungu was a brother of Mambwe Nsakilwa. explained to Chief Msoro that they were attacked by the Acikunda. houses when they wanted to charge. Therefore they tried to besiege it. the village created a cat (by magic) and deliberately made it blind. it was a sign of bad omen and hence went back home unsuccessful. Cimpusu or Imbwa (a dog without a tail). He ruled for many years. without troubles and was found by white pioneers on the throne. used to kill the husbands of the women he loved. was because the people were attacked in great numbers by itch disease. case to Livingstone but the headquarters sympathised with Nsyanga. Ambo people were found mainly in Petauke district. successors of these two chieftainesses are women (their daughters). because he exchanged men for tobacco or Indian hemp. was annoyed and named the men under Lundu eneNyangu 'of cow-peas'. Cisenga and his people were still eneNyendwa. at last in the Bisa country under Chief Cipolo near the Luangwa river. Cinzombo and he became an enemy to Cipolo. of Nyangu gave his portion of country called Mbiya to Lundu and Kapende. remained apart for many years. Mtobeka, Malanda, Cembe the II and Cinema. Kaungo Kacenga of Sakala clan. He came from Cinzale near Mankungwe. Mmbang'ombe came to this country soon after parting with Mkanda. Cingale. Kaungo gave them land on the other side of the Lupande. 50. THE REIGN OF MSORO. Civyololo. The wars forced him to run together with Msoro to Tindi. within Cinzewe. During that time war was fought in that village. in praise of his victory. Song: What these people say I hear, but often I ignore them. of Zazatike the elder brother of chief Msoro. Mambwe the brothers of Citenje gave part of his country to Kazubezube. tusk onwards the country was given as a fine to Kazubezube. 53 THE COMING OF EUROPEANS. Dr. Lacerda. This man wrote down his travels as we read them to-day. Ambo and Bisa were still unknown in this country and were outside it. David Livingstone arrived in this country a century ago. stamping out the evils of Central Africa. George the ruler of England and our country. until they came to Kaonde country. They stayed there for some years. the Lima country and passed on to Utwa. During their stay there they learnt the Batwa language. Ciluvya who because of staying there long got married to a Utwa man. enough to break down the language again. Uitonga mtenje Maize, Kankoma = cow peas etc. 55 THE FAMILIES THAT CAME WITH MAMBWE. Nzoka and Ng'ona were Bisa family clan names, but Wall were Bemba. and carried round a reed. The best cotton was called 'Mizinji'. called 'Kasangwalupe' as in large eating-dishes (made of reed or palms). was wetted and hammered with sticks or pounded in a wooden pounder. and Kalimumu 70 ins x 50 ins. lotion produced a beautiful scent. HOUSES; The Kunda built fine houses with a sort of veranda round it. ore from stones. Their hoes were made from a tree called Kasalusalu. the Tumbuka who were iron-mongers. gets ripe by January, the maize with big cobs were called Mkwela. White rice and many other food stuffs were brought by Europeans. decided to pay a visit to his relatives he carries his own food. one's food. That was the normal life among the Awetwe. garden to stop running water from eroding their gardens. twalinda male apye" we are still waiting for finger millet to ripen. cipoka, they said that the lands beside the mountains were not fertile. exchanged their own son again with two slaves of both sexes. that was easy therefore they went back to brew beer. spirits and God drink Yi! Yi! Yi! Yi!" The men shouted Wi! Wi! Wi! clan names and direct birth grand-children. to find the person who caused death or who bewitched the dead person. were dipped in a pot full of water and the pot was placed on fire. long time to boil he was set free and paid. often got killed because they were generally hated. wardens were given beer alone. continued her journey after the men had passed her. they made beer. The drum players were called and the dance was staged. up in a house to. stop him from killing his wife. dies before birth in Nsenga country the man is fined a good sum of money. case and sisters were freed. will not compromise with them. I may waste my food?" Another day the man said, "Let us go for hoeing". were given medicine to enable them to catch these animals. he killed it. That man may say that the dog ate my meat from a pot. of the dog was happy and went to his house satisfied. when the owner of the dog died.